General Sales Agent (GSA) for selling the packages/products of RTDC. Worldwide Rail Journeys Pvt Ltd makes no claim over Palace on Wheels and logo. 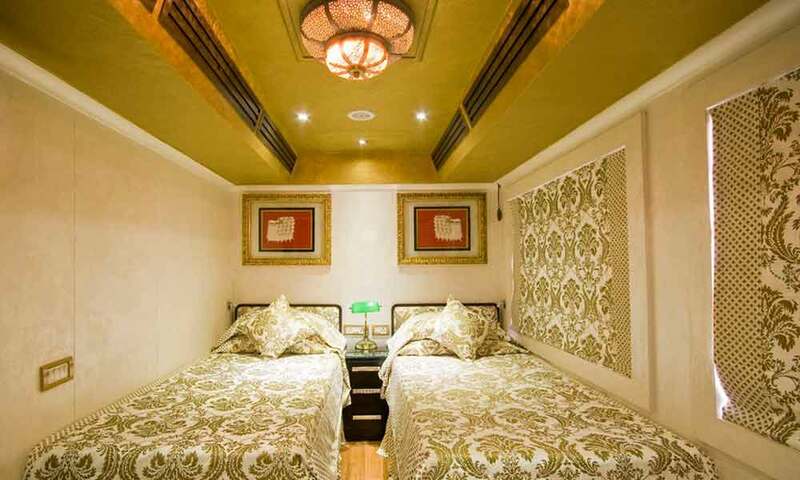 The Palace on Wheels has 13 carriages exclusively dedicated to deluxe suites. The coaches are named Moti Mahal, Chandra Mahal, Hawa Mahal, Kumbha Palace, Umaid Palace, Jal Mahal, Surya Mahal, Sukh Mahal, Padmini Mahal, Phool Mahal, Kishori Mahal, Jogi Mahal and Lalgarh Palace, after the various palaces to be found in Rajasthan. Each of these coaches contains three deluxe suites. 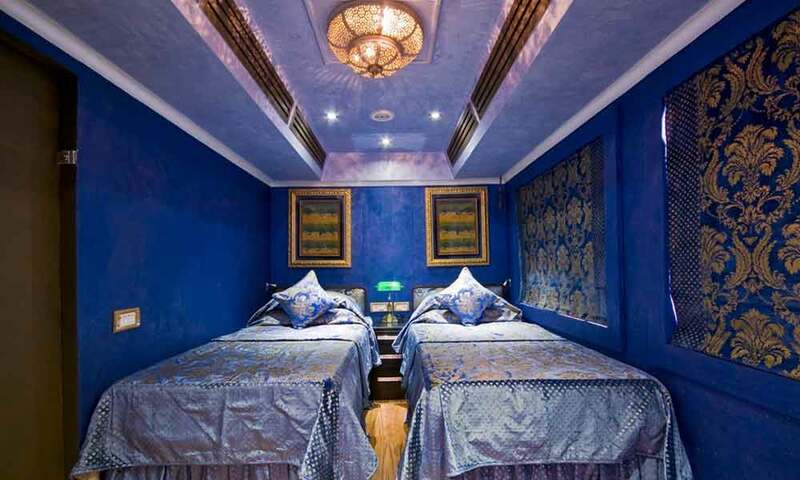 These are named after precious stones, aptly called Sapphire, Ruby and Pearl, with large sized beds, writing desk, chairs and a sitting area with access to a personal attendant. Guests of deluxe suites are eligible for air conditioned cars for sight-seeing purposes. Twin Bedded cabins can be combined and converted into a double bedded Cabin on request.